The following manual was originally posted to Scribd in June 2011. (1) Lack of visual/terrain references at sea. The lack of visual references adversely affects not only the ability to navigate but also the ability to quickly orient an aircrew to the tactical picture for safety and targeting. The lack of terrain eliminates the capability of low altitude aviation assets to employ terrain masking for threat avoidance. Therefore, these assets will often be within range of a surface ship’s weapon systems when attack criteria are achieved. (2) Target identification (ID). Similarities in ship design, appearance, and density of surface traffic require aircrew threat training tailored to the maritime environment. 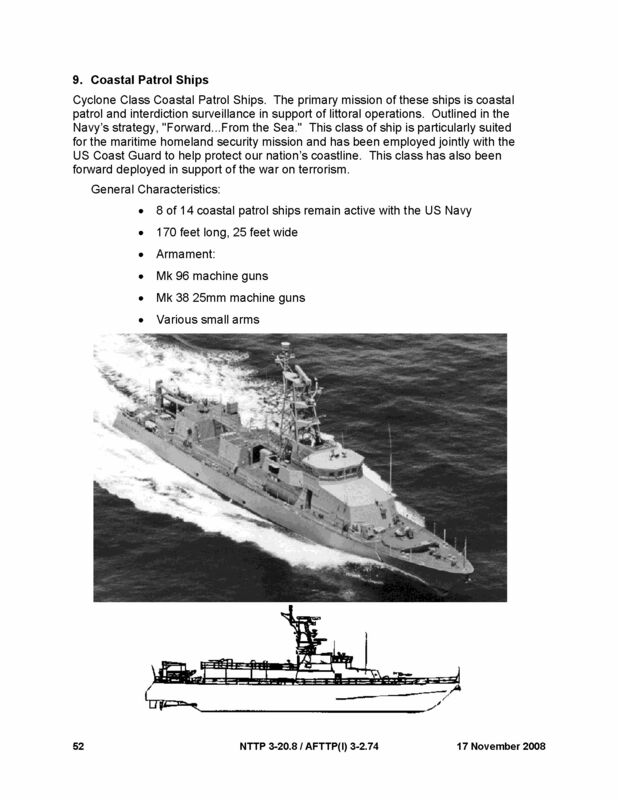 (3) Naval vessel mobility. Surface vessel mobility negates the effectiveness of coordinate seeking weapons. A vessel’s mobility coupled with poor weather conditions can increase difficulties in performing visual identification and complicate targeting. (4) Friendlies/Neutrals/Noncombatants. The vast majority of maritime vessels are commercial shipping representing every major nation in the world. Their presence in the midst of an emerging tactical picture has fratricide and collateral damage implications. (5) Maritime rules of engagement (ROE). The maritime environment encompasses historical laws of the sea which impact ROE (e.g., territorial waters versus high seas). (7) Tactical C2. 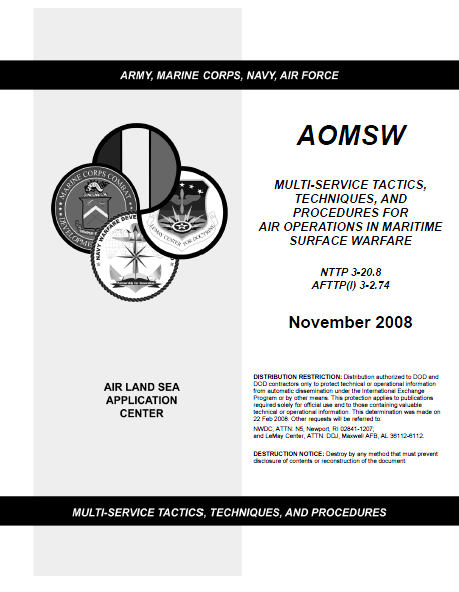 While the maritime environment contains common tactical C2 such as a forward air controller (airborne) (FAC[A]) and a strike coordination and reconnaissance coordinator (SCARC), it also employs tactical C2 unique to the maritime environment such as a maritime air controller (MAC) and an aircraft control unit (ACU). (8) Composite warfare commander (CWC) nomenclature. Maritime forces are scalable in size and capabilities; therefore, a unique naming convention has evolved to accommodate this scalability within the CWC command structure. See chapter II for additional details. 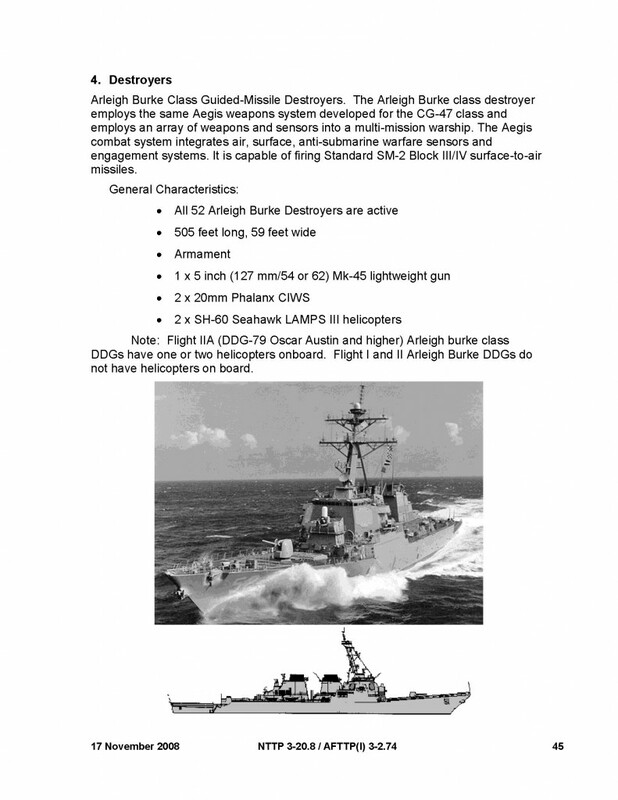 (9) Naval flight operations. The very nature of naval flight operations is that they are mobile; the large deck aircraft carriers and smaller combatant vessels possess aviation detachments. The location of high-density flight operations is ever changing, requiring constant coordination for safe deconfliction. (10) Sub-surface operations. Deconfliction of surface warfare and subsurface operations will be coordinated at the CWC level. Aircrew should immediately report the location of all submarines, when spotted, to the CWC.